The technology is readily available to automate many marketing tasks, such as emails, posts to social media, and content updates on your website. It is important that you fully understand the capabilities of any automated marketing program you choose. Ideally, it helps you maintain individualized contact with your existing customers while connecting with potential customers in a way that prompts them to engage with your brand. The following are two examples of automated programs that can accomplish just that. Cross media enterprise marketing programs: There is no one magic method to reach all potential customers and connect with existing clients. Many businesses thought that social media was going to be that all-powerful location to reach people of every demographic. Social media is powerful, and your marketing plan must include it. However, you should not rely on social media completely or too heavily. The best automated programs integrate with your other commonly used applications. Features should include lead nurturing, email drip campaigns, contact management, direct mail, along with social marketing. Customer relationship management (CRM) programs: Automated marketing programs should be easy to implement and cost-effective. You stay fresh in the minds of current clients and past customers with some easy setup. Systems like MyCRMDashboard provide you with personalized marketing to stay ahead of the competition. An investment in a proven CRM system is a good option for any company just getting started with marketing automation and works well with a variety of marketing plans. Building relationships is crucial to gaining referrals. 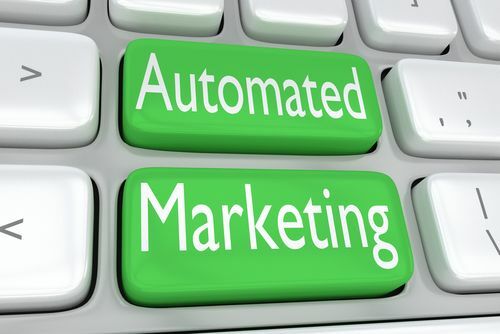 Automated marketing also keeps your brand out there to reach potential new customers. The key to all effective marketing is utilizing the latest technology while keeping in mind that real, live people are on the receiving end of all of your efforts.